“I am haunted by this statistic,” Bullock said. The governor isn’t the only one with mental health on his mind this legislative session. 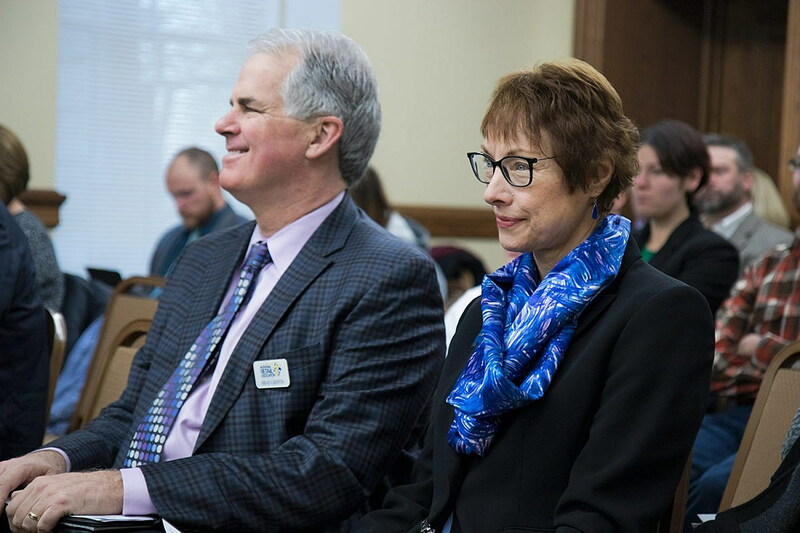 Throughout the first several weeks of the 65th Montana Legislature, lawmakers from both sides of the aisle have introduced bills that seek to institute suicide prevention measures and overhaul crisis prevention efforts. Montana had the highest suicide rate in the country in 2014, and has been in the top five states with the highest suicide rates for nearly 40 years, according to a Department of Health and Human Services report from last year. The report cited Montana’s relative isolation, as well as access to firearms, alcohol and other factors as contributors to the problem. The youth suicide rate is particularly concerning for legislators. Rep. Mary Ann Dunwell, D-Helena, is sponsoring House Bill 265, a bill that would provide a limited number of grants to schools to help them implement suicide prevention programs. During the bill’s first reading, Dunwell noted the high suicide rate in her own district. She pointed to Helena High School, where six students have completed suicide in the last four years. “I don’t have to tell you how tragic that is,” Dunwell said. Dunwell said she became interested in mental health reform after watching a family member struggle with mental illness. After that person attempted suicide, Dunwell said she met other youths affected by suicide in a family support group, which helped spark her interest. In order to fund these programs, Dunwell proposed a one percent increase on rental car taxes, which she said would largely only affect tourists. Dunwell also introduced House Bill 176, which would require primary care physicians to give depression screenings to patients 12 years or older as part of general wellness exams. The bill would apply to all state-run health programs. “My hope is that doctors who are doing the screening … will just do it for all the patients, and it’ll become the norm,” Dunwell said. Just as Montana has unique factors that contribute to its high suicide rate, certain communities require approaches more tailored to their needs. Rep. Jonathan Windy Boy, D-Box Elder, is sponsoring House Bill 23, which would create a pilot program for reservation communities to combat youth suicide. Native American youths are the demographic most likely to commit suicide in Montana, according to the DPHHS report. “We don’t have mental health specialists that address these particular issues,” Windy Boy said. Windy Boy also has a personal relationship with suicide. When presenting HB 23 last week, he told the House Appropriations committee about a teenage girl from Havre who committed suicide in 2015. The girl was his granddaughter. HB 23 takes a cultural approach to suicide prevention, taking significant influence from tribal elders. Windy Boy said on the Rocky Boy reservation, residents have little in the way of established mental health services. He said people experiencing suicidal urges are typically rushed to Northern Montana Hospital’s recovery floor, where they are not enough professionals to address the issue. He also said that the reservation has a contract with a psychiatrist from Florida, who is only able to travel to Rocky Boy two times a year. The pilot program would equip those who live on reservations with the skills necessary to address suicide in a more nuanced way. But with budget constraints affecting every aspect of the legislature, funding for new mental health programs could be difficult to come by. Republican Majority Leader Ron Ehli, R-Hamilton, wants to work within the confines of existing programs. Ehli is sponsoring House Bill 237, which would require the state’s board of crime control to develop a crisis intervention training program. The program would teach law enforcement, first responders and other providers how to properly respond in situations where someone is having a mental health crisis. The bill passed the House 99-1 and now moves to the Senate. Ehli said law enforcement needs to be able to treat situations involving mental illness differently than they would a typically. “It’s just going to avoid a bigger problem,” Ehli said. The programs would be funded using only available funds. Grants would extend to tribal law enforcement agencies. Many mental health advocates support these lawmakers. 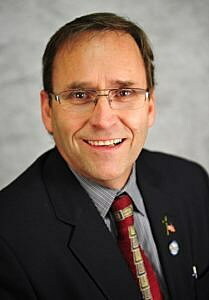 Matt Kuntz has spoken on several bills tackling many different aspects of mental health care. As the executive director for the state chapter of the National Alliance on Mental Health, Kuntz wants to ensure the bills passed by the legislature take an evidence-based approach. “The last thing that anybody wants to do is move critical state resources into programs that aren’t demonstrated to be effective,” Kuntz said. Kuntz said that he has cast a wide net of support in part because he wants to be able to lend his input on any programs the state wants to implement pertaining to mental health care. He said it’s the role of legislators to decide which bills are implemented — he just wants to make sure the ones that are do their job effectively. “We’re willing to work with all of the legislators to try to improve the mental illness treatment system,” Kuntz said.